University of California Berkeley police praised its officers for "tremendous restraint" during protests that scuttled Breitbart News editor Milo Yiannopoulos' speech at the school, but others in attendance criticized the police for lack of action. A scheduled speech by Yiannopoulos was canceled on Wednesday by campus police, who said they could not guarantee the safety of attendees amid a crowd of demonstrators that included about 150 aggressive anti-fascist protesters intent on shutting down the forum. About 1,500 people were in attendance for the demonstration, most of them peaceful protesters, police said. 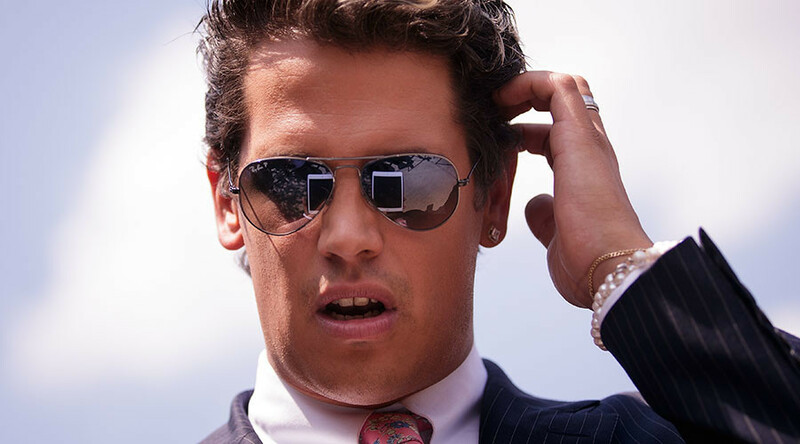 "Amid an apparently organized violent attack and destruction of property at the Martin Luther King Student Union, the University of California Police Department determined that it was necessary to evacuate Milo Yiannopoulos from the campus and to cancel tonight’s scheduled 8 pm performance," campus police said in a statement. "The violence was instigated by a group of about 150 masked agitators who came onto campus and interrupted an otherwise non-violent protest." A non-student who failed to leave the premises upon police orders was the only known arrest that occurred Wednesday evening, the San Francisco Chronicle reported citing campus police. 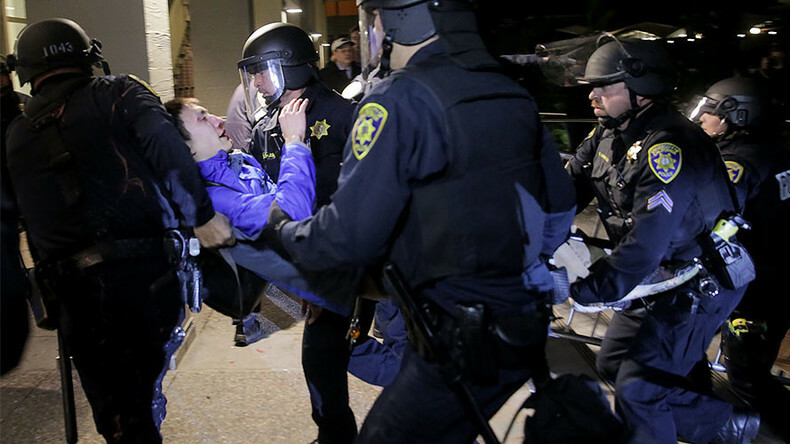 UC Berkeley Police Chief Margo Bennet said there were no reports of serious injuries. Bennet said her officers "exercised tremendous restraint" in order to protect students. Some people took issue with the restraint, however. "It was a riot. It felt like a war zone," said Susan Walsh, who was stuck on the second floor of the student union building while waiting for Yiannopoulos to speak. "Absolutely felt like a war zone." Police "were equipped to shoot rubber bullets or what have you, and they really didn’t do anything. 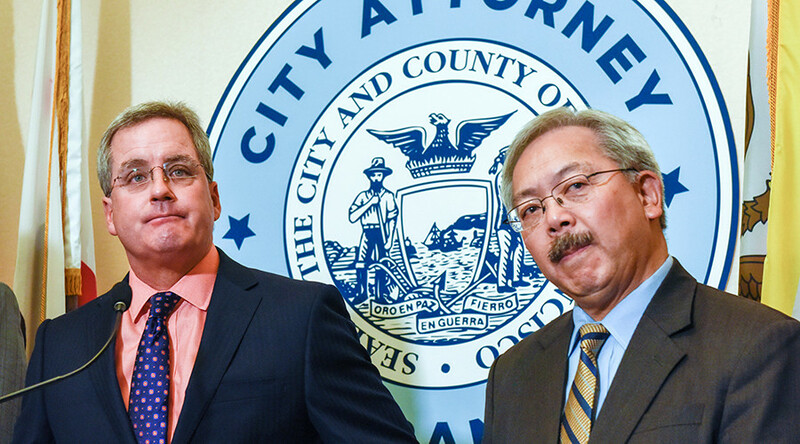 And, I thought, 'We are sitting ducks'," Walsh told KPIX. A UC Berkeley spokesperson said campus police assessed the situation and decided not to press forward. "Police tactics are driven on a campus by need, the non-negotiable need to protect our students and ensure their well being," said Dan Mogulof, according to KPIX. University officials said the police did not move in on rioting protesters out of concern for causing more harm to students, other protesters and bystanders. "I do not believe our students were involved in the vandalism and the violent behavior that occurred. 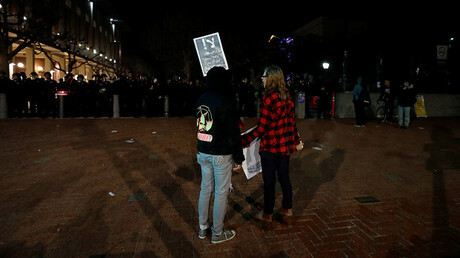 This was a group of agitators who were masked up, throwing rocks, commercial grade fireworks and Molotov cocktails at officers," UC Berkeley Police Chief Bennet said, according to AP. "Those were not our students. That’s not our students’ behavior." UC Berkeley Chancellor Nicholas Dirks said those who used fireworks, vandalism and other more aggressive tactics were engaged in an "attack on our fundamental values," including free speech. 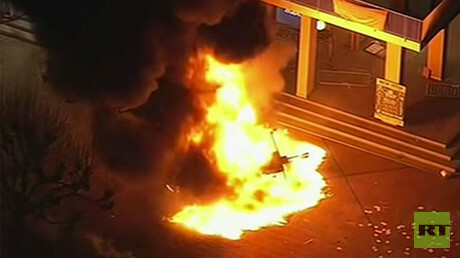 Dirks praised police for remaining calm, the San Francisco Chronicle reported. Berkeley Mayor Jesse Arreguin also denounced the rioting, suggesting that shutting down Yiannopoulos was not constructive in thwarting far-right movements in the US. He hailed the city police department's actions that evening. "The strategy deployed by the police was not my decision, but the decision of the department based on professional judgment of the police department," he said in a statement. "They did an incredible job under these circumstances and prevented further violence." Man, if only people cared as much about actual hate speech as they do people protesting hate speech. Police are studying video material of the event in order to identify potential suspects, the Chronicle reported. Editor of Breitbart News Yiannopoulos — a firebrand who has taken aim at immigrants, Muslims and transgender persons, among others — was on campus on invitation from conservative students at the school with the intent of lambasting UC Berkeley for being a "sanctuary campus" for undocumented immigrants. The speech was set to be the "alt-right" provocateur's kickoff event for a campaign against "sanctuary campuses," which critics said wouldintimidate undocumented students at the school. 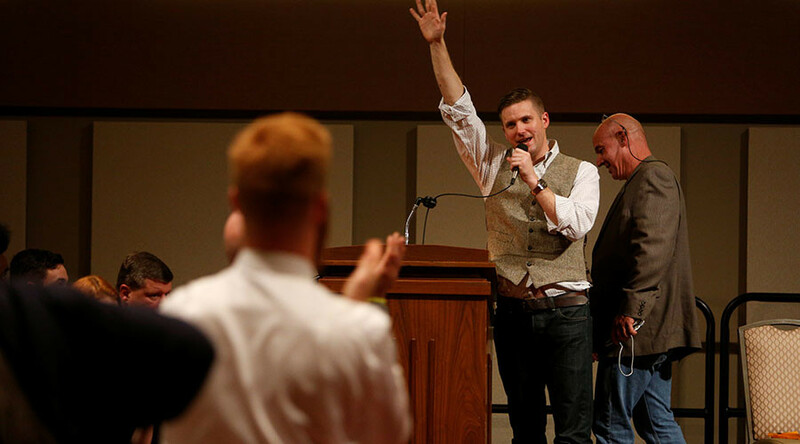 In December, Yiannopoulos outed and mocked a transgender student at a similar event at the University of Wisconsin-Milwaukee. 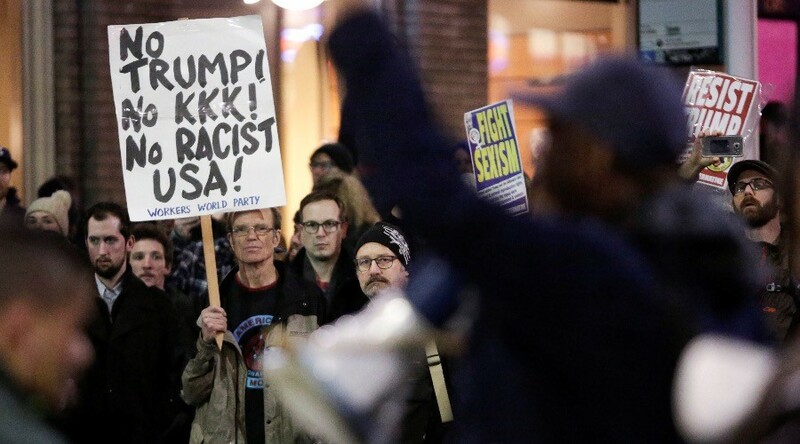 Late last month, outside a scheduled speech by Yiannopoulos at the University of Washington in Seattle, an anti-racist protester was shot by a Yiannopoulos fan who had tried to provoke the protesters throughout the evening, according to Hatewatch. Yiannopoulos took to Facebook to express his view of the UC Berkeley cancellation. "I’ll let you know more when the facts become clear. One thing we do know for sure: the Left is absolutely terrified of free speech and will do literally anything to shut it down," he wrote. On January 31, one day before the scheduled speech, Yiannopoulos opened up applications for The Privilege Grant, a scholarship started by the Breitbart editor "available exclusively to white men" who want to go to college "on equal footing with their female, queer and ethnic minority classmates."